Every day, tourists flock to see the dancing fountains water show at the Bellagio on the Las Vegas strip. 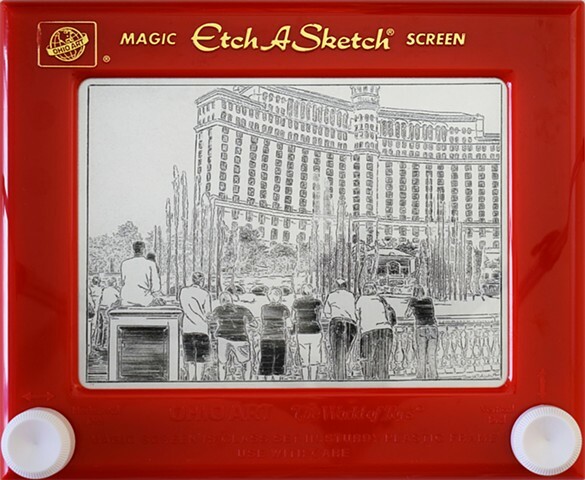 The experience is captured here with a single line, using only the two knobs of an Etch A Sketch. Both the original artwork and limited edition replica prints are available through SKYE Art Gallery, Las Vegas.